At Big Think Agency I had the job of designing and building a repsonsive website for Little Offices. The site needed to showcase existing locations and make it easy to enquire into letting them out. The colourful and fun feel of the site helps reflect that of the offices themselves, with their bright, colourful walls and furnitue. 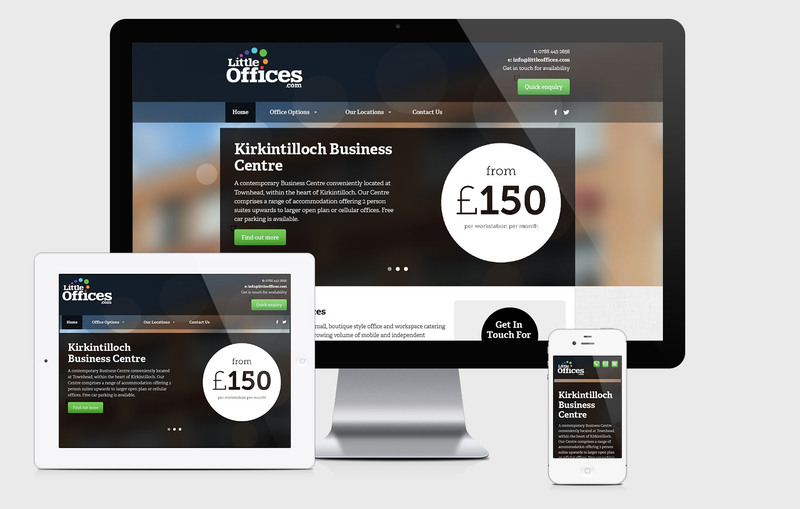 The responsive design allows for users to easily make an enquiry on any device size.